In this devblog, campaign designer Eva Jobse will talk more about each of the factions’ early game experiences and the available difficulty levels in Total War: WARHAMMER. 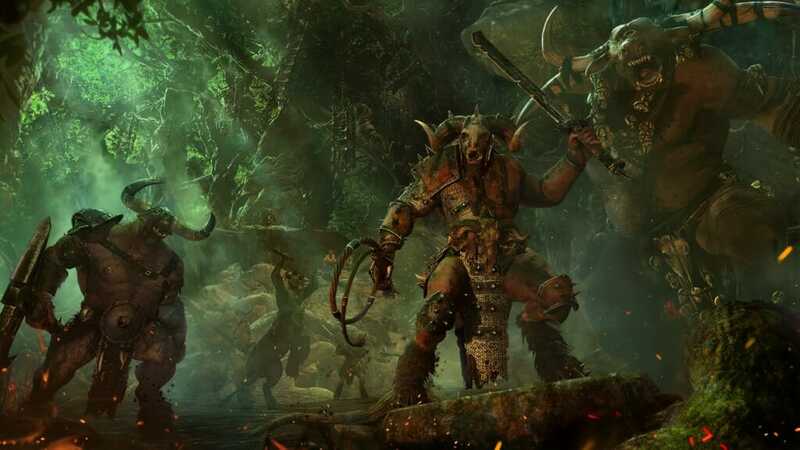 When we started designing Total War: WARHAMMER, we were aiming to create the most approachable Total War game yet, while simultaneously making it the most challenging one as well. A frequently heard paradigm in the games industry is making games that are easy to learn and hard to master. While strategy games are already a genre of games that typically have quite a bit of complexity associated with it, we did strive to make Total War: WARHAMMER more intuitive to understand than its predecessors. For this reason, we scrutinized most of the campaign systems and focused them. 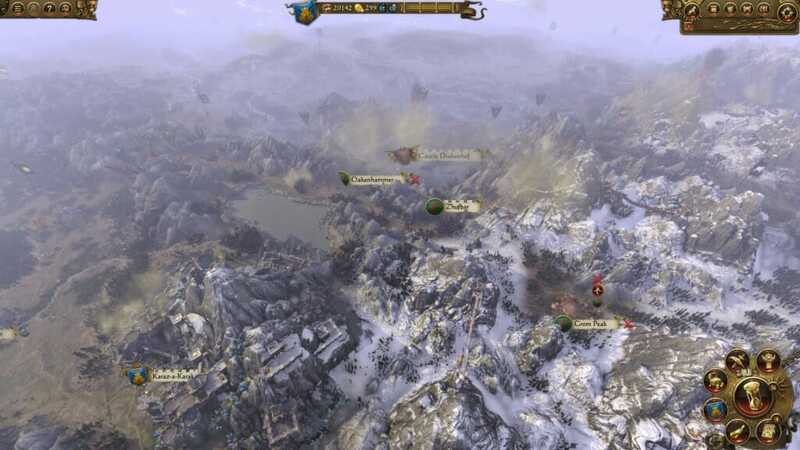 Veteran Total War players were quick to notice the absence of some features, such as negative building properties including squalor and sanitation problems, time elapsing in the campaign (and generals dying of old age), and features such as corruption and imperium. On the other hand, we didn’t want to dumb down the game, so complexity has been added back into the game in other areas. Total War: WARHAMMER has the deepest character customization options yet, with many skills, items and followers that can be utilized to create powerful lords and heroes. There is also massive differentiation between the different races, and each of the playable races will feel as if you are playing a different game, as all of the races come with a unique gameplay feature created exclusively for them, while unit rosters, buildings and technology trees are more diverse and asymmetric than we ever had before. 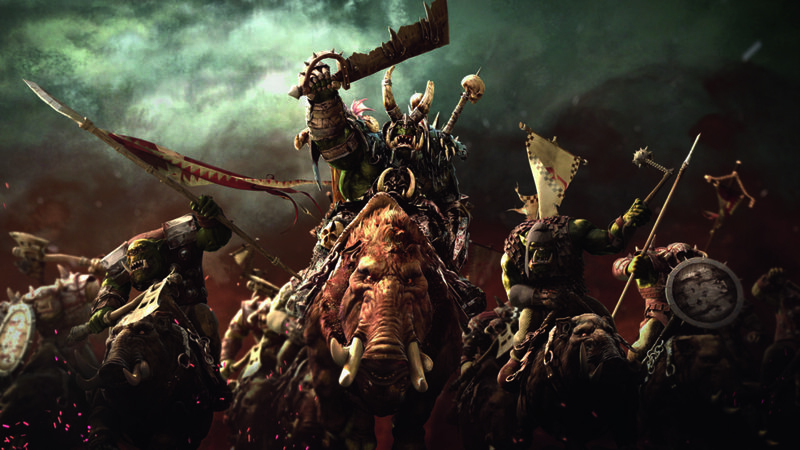 The Old World, the realm where Total War: WARHAMMER takes place, is equally diverse. Each race resides in its own area and has different challenges to overcome in the early game. In the next section, we’ll tell you more what you can expect from the early game of the four playable factions. The Empire is the most generalist faction, with access to affordable, reliable State Troops backed up by elite knights and artillery. It has a wide variety of diplomatic options available in the early game, as the starting province of Reikland is surrounded by many different human factions, as well as Dwarfs and several Greenskin tribes. Forging trade agreements with other factions early on is an important aspect in securing a decent income and sustaining sufficient forces in the long run, as trade agreements become more profitable the longer they remain active. Determining where to expand and which factions to keep as allies is key, as the Empire has few natural borders and will be in serious danger of being overwhelmed if the player bites off more than he can chew. Dwarfs are a highly defensive faction. They are famous for their resilient infantry and devastating ranged firepower. In the early game they can turtle up around their capital Karaz-a-Karak and focus on building up their economy. In their immediate surroundings, they will find several small Dwarf factions and quite a few hostile Greenskin tribes. Making allies and confederating with the other Dwarfs will greatly help their efforts to secure the Badlands and World Edge Mountains. Overall, Dwarf players will likely want to take it slow, digging themselves in when they conquer new territory, waiting for the enemy to lose armies when they try to besiege the Dwarfen settlements and then quickly marching forth from their holds in retaliation, reclaiming more and more ancestral holds as they go. Greenskins are an uncomplicated faction. Their initial troops are cheap and plentiful, making it attractive to rush out and conquer new lands in the early game. Greenskins do not have much of an economy, so they will not wring as much gold from the territory under their control as other factions. To make up for that, Greenskins are very good at raiding and sacking other people’s lands and they also start with a goldmine in Black Crag, their capital. There are several weaker Greenskin tribes in the area, so there are plenty of targets to choose from early on. Take care of your armies well and get them into enough fights, and you will be rewarded with a Waaagh!, giving you an extra army to fight for you. An aggressive playstyle suits the Greenskins well, as it allows them to keep their armies happy and provides them with much-needed income. The Vampire Counts have lots of cheap and expendable units early on and unlock their powerful units somewhat later than other races. They can quickly replace their cannon fodder in the field through their unique Raise Dead ability. It suits the Vampire Counts to focus their investments in certain key provinces, working their way up to the highest tier buildings as quickly as possible while leaving other provinces neglected. This way they have access to their top units in strategic locations, while relying on Raise Dead elsewhere. Economically, they can afford to do this, because Vampires get a large share of their ‘income’ (Vampires use Dark Magic as currency) from their main settlement buildings – representing the oppressed population drained of blood or sacrificed in dark rituals. The Vampire Counts start in a corner of the Empire and are bordered by Dwarfs in the south and east. They should pick their targets carefully, as starting war with one Empire or Dwarf faction may drag in their friends as well. Each faction of importance has a unique capital city settlement building. These buildings are more powerful variants of regular settlement buildings and serve two purposes. First they provide some extra income in the early phases of the game, as they will boost all income in the starting province as well as any neighboring provinces you may conquer later on. Secondly, they have massive garrisons that become increasingly powerful as you raise your capital’s city level. This makes it harder to lose your capital and very challenging to capture the capitals of other major factions. 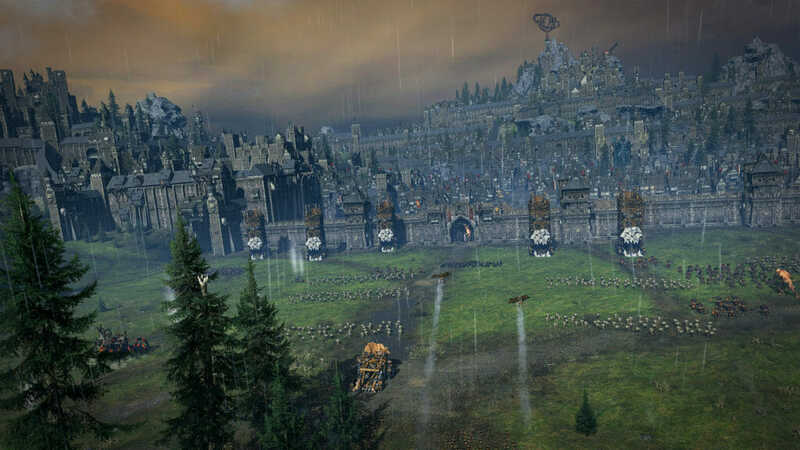 Total War: WARHAMMER features five difficulty levels, ranging from Easy to Legendary. This way, whether or not you have previous experience with Total War games and other strategy games, you can play the game you want to, be it easy to approach or extremely challenging. The difficulty levels not only give the player minor bonuses or penalties to values such as public order, but also change the behavior of the computer-controlled factions. On easy difficulty, factions are forgiving to slights such as trespassing or breaking treaties and hesitant to declare war, while on very hard you will notice that they have become extremely opportunistic, not shying away from backstabbing the player if they believe it serves their interests best. The end-game challenge will also vary from tame to outright relentless, based on your chosen difficulty level. o ‘Easy’ should be so easy that you are rarely, if ever, stopped from doing what you want to do. Expansion is simple and opposition is low. If you are not yet very familiar with strategy games or you just want to tour the Old World, this will be ideal. o ‘Normal’ will still allow the player to quite simply experience the world, but will be slightly more challenging in the late game. This level is intended to be significantly easier than the equivalent in previous titles and experienced players will probably want more of a challenge. For just trying out a new unfamiliar Race for the first time though, normal can be a solid choice. o ‘Hard’ will be a significant step up, the player will be expected to make challenging decisions from the early game onwards and will find themselves frequently under pressure on multiple fronts. Expansion will be more difficult and slower, and you can expect to lose some of your territory on occasion. The mid to late game will require the player to respond with planning, sacrifice and a sound knowledge of the interlocking systems of the game. o ‘Very Hard’ The player is expected to be very experienced with the game in order to be able to survive from the outset. The game will be unforgiving and you’ll need to find ways to get the most out of all areas of the game, including battle, campaign economy, diplomacy and character skills. Nasty inescapable situations are likely to be encountered frequently by the ill-prepared and unwary, so you should exercise caution when planning your next expansion. The late game will offer a brutal challenge. o ‘Legendary’ not only offers the greatest level of challenge, but also places restrictions on saving the game and issuing orders while paused in battle; rewarding only the experts, the committed and quickest of thinkers.